No matter which way you try to dress it up, a meatloaf is all about the meat. Which is why we’re adding little more than a few breadcrumbs to keep it moist and a smattering of balsamic ketchup glaze to keep things interesting. That’s all you really need (along with some green beans and mashed sweet potato) to emphasize the classic timelessness of this dish. Wash and dry all produce. Preheat oven to 450 degrees. Mince or grate 1 clove garlic (we sent more). Chop parsley. Trim green beans. Halve and peel onion. 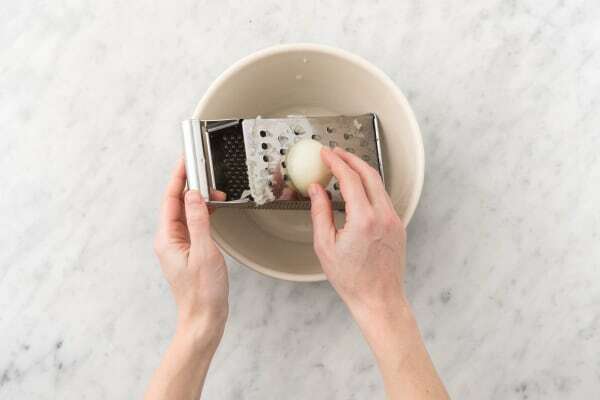 Using a box grater, grate one half into a large bowl (feel free to use the other half as you like). Add garlic, parsley, panko, beef, and ½ tsp salt to same bowl. Season with pepper, then mix with hands to combine. Form into two 1-inch-tall loaves and place on a lightly oiled baking sheet. In a small bowl, mix 1 TBSP balsamic vinegar (we sent more) and ketchup, then brush onto meatloaves. Bake in oven until no longer pink in center, about 25 minutes total. 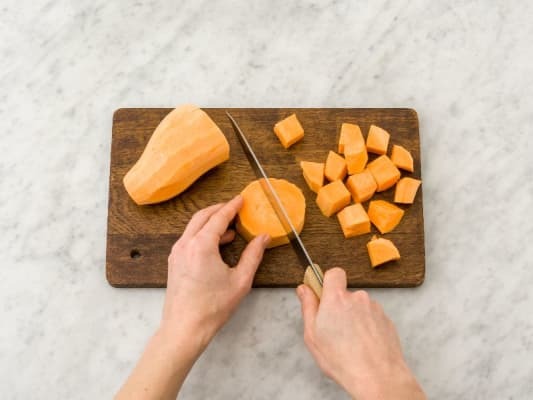 Peel and chop sweet potato into ½-inch cubes. Place in a large pot with a pinch of salt and enough water to cover by 2 inches. Bring to a boil and cook until easily pierced with a fork, about 10 minutes. Drain and return to pot. 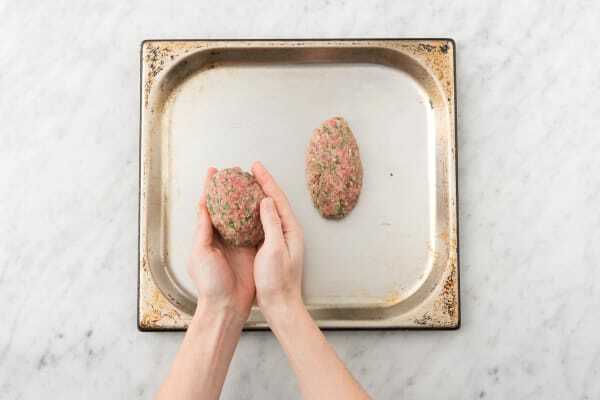 After meatloaves have baked 10 minutes, remove from oven. Toss green beans on same baking sheet with a drizzle of olive oil and a pinch of salt and pepper. (TIP: Use tongs to avoid burning your hands.) 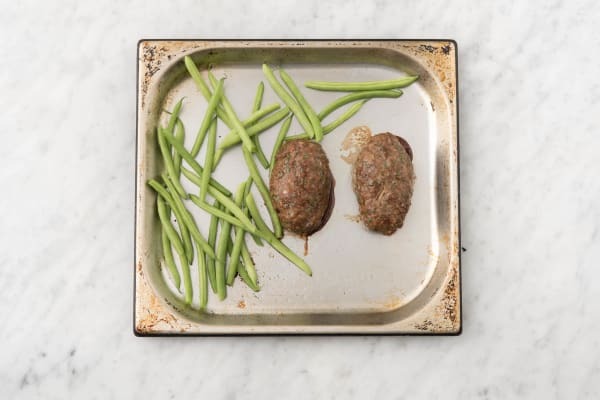 Return to oven and bake until meatloaves are cooked through and green beans are slightly browned, about 15 minutes more. 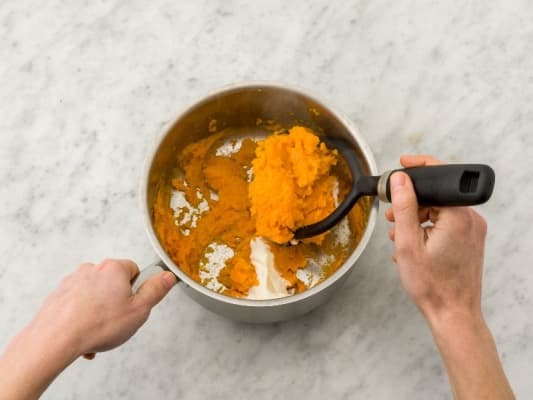 Mash sweet potato in pot with a fork or potato masher until smooth. (TIP: If potatoes have cooled, quickly reheat over medium-low heat.) Add 1 TBSP butter and honey. Continue mashing to combine. Season generously with salt and pepper. 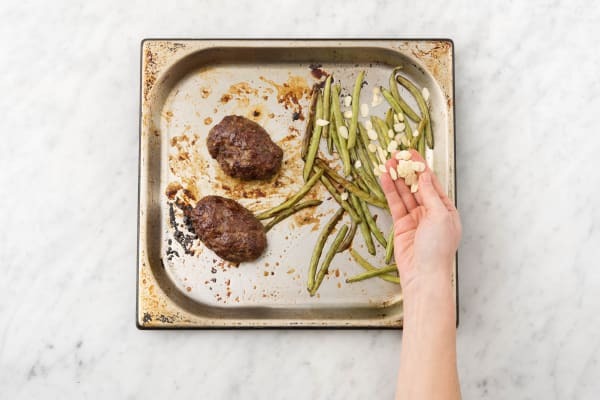 When meatloaves and green beans are done, sprinkle almonds over green beans and toss to combine. 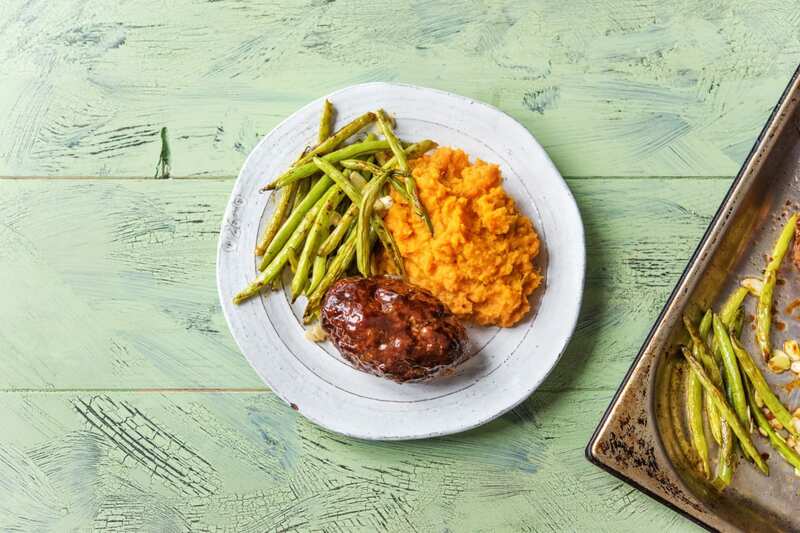 Divide meatloaves between plates and serve with sweet potato mash and green beans on the side.